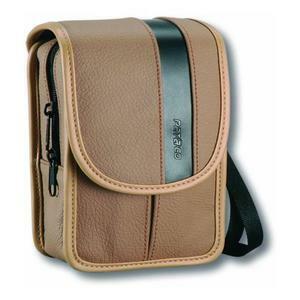 Camera case made of the highest-quality leather for smallest film and digital cameras. The case features a stretchy front panel for storing memory cards and batteries. The unique Pop-UP system pushes the equipment upwords for easy removal. The practical strap is fitted sideways and is detachable. The case has a built-in belt tab at the back.